The InstaNatural Glycolic Facial Cleanser is an anti aging and acne skin care product for those who are still struggling with acne or those who want to reduce their wrinkles and fine lines and simply haven’t had any success with the more traditional products. Glycolic acid is another great chemical for skin issues, in this Study a review was made regarding its uses and effectiveness. To make it short; Glycolic acid works by exfoliating the pores and removing dead skin cells as well as exciting collagen production from the burning of the skin. From the review it was concluded that it does in fact do that and Glycolic Acid was an excellent chemical for acne, scars and wrinkles. Exfoliation is important since keeping your pores unclogged reduces the chances of pimples forming and you want your skin collagen to be triggered to heal the surface of your face with new fresh skin. While Glycolic acid at this level is a great wash for acne and wrinkles, there are higher concentrations of this acid in the form of peels for scars and deeper skin conditions. 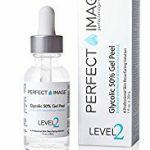 Peels like the Glycolic Acid 30% Gel Peel and Glycolic Acid 50% Gel Peel are great products for those issues, but if your condition is mostly acne and some fine lines this concentration of Glycolic is perfect for you. The InstaNatural’s Glycolic cleanser added Arginine as an extra ingredient which helps in the production of collagen making the skin look smoother and firmer thus helping further the reduction of fine lines and wrinkles. Due to this product being a cleanser that you wash off, it can be use as an exfoliating and cleaning product before applying any other acne or wrinkle product, making it more effective to be absorbed by the skin. This brand also uses other extracts which help soothe the skin helping further reduce inflammation and irritation. InstaNatural has become a well-known brand with a very successful product line with thousands of reviews and positive feedback. All their products have NO parabens, sulfates, mineral oil, formaldehyde releasers, MCI/MI and synthetic dyes. Were made in America and they do not test on animals. The best way to use this product is to first wash your face with soap then with your skin still wet apply the cleanser and massage in circular motions for at least a minute. Let it sit for a few seconds and rinse with water, feel the freshness. You can also try to apply it and leave it on for 10 minutes then washing it off. Try this if you can handle it, sensitive skin might not be able to take this, but some people have seen amazing results by leaving it on for a few minutes. For some products it is important to do a patch test, apply some product on your skin and see if there is a negative reaction, if it turns red or it burns you, you might be allergic to it, so do not use the product, of course the chances of this are small, but it should be done before completely covering your face with it. Just like with any product, try it for a month before deciding if it isn’t for you. If you are trying to get rid of wrinkles and fine lines it might take even longer. Skin healing is a process that takes time and some testing, do not get discouraged if you see no immediate results. Do not forget the importance of a moisturizer, you can find the best one in the Red/Dry Skin page. While this product does moisturize and it is not drying it does not have the SPF protection acne prone or scarred skin needs. If you need more tips, tricks and information on other products always be sure to check out the Acne page. There is also the Scars page if you want to get rid of those acne scars and the Red/Dry Skin covers other issues like wrinkles as well. Take a look at the Glycolic Facial Cleanser over at Amazon, this amazing product exfoliates and eliminates dead skin cells leaving you a fresh and clean skin that will make you smile. The research does not lie and neither does the thousands of satisfied users of this product. Acne control and rejuvenating your skin is possible and it is only a few clicks away, you have little to lose a lot to gain. If you have any questions or comments, please don’t hesitate to write and I’m positive this product will help you on your path to a Beautiful Clear Skin. Thanks for the health tips. I have always wanted my skin to look better and more younger. I haven’t had much success with the cleansers and scrub because they cause me some kind of irritation. But this looks to be made out of completely natural products. i Am going to try it out and I will definitely get back to you. That’s the thing with skin care products, sometimes they might give you irritation at first and then it will go away. 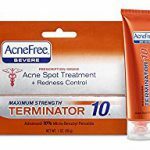 This product should be pretty good and while it might be a bit rash to sensitive skin it will certainly help, thanks for reading.